New pet parents looking to bundle microchipping with pet insurance. 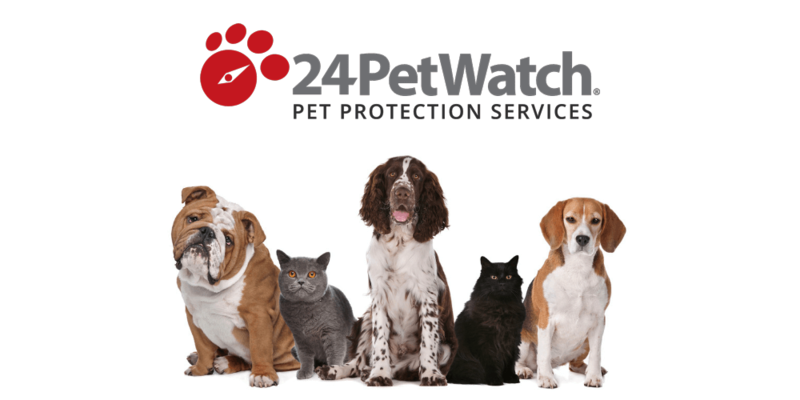 24PetWatch is an innovative pet insurance company with four policy levels to meet most any dog or cat owner’s need. They also offer lost pet services, including microchip and MedAlert. 24PetWatch is underwritten by The North River Insurance Company in the United States and Northbridge in Canada. 24PetWatch policies are available in the entire United States and in all provinces of Canada excluding the territories and Quebec. 24PetWatch has four different policy options: Extra, Classic, Super and Champion. The policies vary in terms of annual limit and deductible options, starting at $3,000 and ending at $20,000 of annual coverage. All plans cover hereditary and congenital conditions, exam fees, lab tests, x-rays, ultrasounds, hospitalization and surgery, ambulatory care, physical therapy and rehab, medications and alternative treatments. Wellness Coverage can be added to any of the four policy options for a small monthly fee to help cover your pet’s regular or annual wellness exam and treatments. Advanced Wellness, starting at $25 per month, offers additional wellness benefits such as flea medication and dental cleanings. The Wellness Coverage options are on an insurance schedule, rather than a reimbursement or co-insurance model. This means they will pay up to a certain amount for certain items, and you are responsible for the rest, regardless of the cost. The 24PetWatch Wellness options also give you some money toward vaccinations. If you have a puppy or kitten, or even if you are dealing with annual renewals, this can help bring down your total. 24PetWAtch covers additional items beyond the traditional pet care you see from other policies. They give you $500 toward Boarding Kennel Fees, Trip Cancellation, Lost Pet Recovery Costs and Additional Living Expenses. They provide you with $200 for Euthanasia and Cremation and $1000 for Accidental Death. Limits are in effect for all four plans, with the lowest plan having a $3,000 annual limit and the largest plan having a $20,000 annual limit. While it is unlikely that your pet will incur annual costs over $20,000, it is more likely that they will reach the $3K-$5K threshold, after which you’ll have to pay 100% out-of-pocket. Some plans, like Pets Best, have the option for no annual limit, so this may work better if you don’t like restrictions. Dogs may be enrolled any time between 8 weeks and 10 years of age, and cats may be enrolled between 8 weeks and 12 years. Deductibles are $100, $250, $500 and $1000. You can change your monthly payment by modifying any of these. The lower two plans (Extra and Classic) don’t have the higher deductible option. All plans have 80% reimbursement. Pet owners get access to a Customer Portal with 24PetWatch, where everything is online. They do not accept paper claims. For claim submission, you must have the claim form, the itemized invoice and your pet’s medical records. When you file a claim, you must meet the requirements of your policy, meaning the claim must not be for any condition that has been documented or diagnosed (pre-existing) and your claim is subject to co-insurance, maximum annual limit and deductible. Overall, 24PetWatch is a solid choice with no waiting period for accidents and good extra benefits. Their online process is streamlining claims, so hopefully that will alleviate concerns some consumers have about their slow-to-pay claims process and lost claims. They also have a monthly $2.0 processing fee and they do not cover bilateral injuries, such as torn ACL, considering these a pre-existing condition. We feel there might be better options out there like Pets Best or Figo.